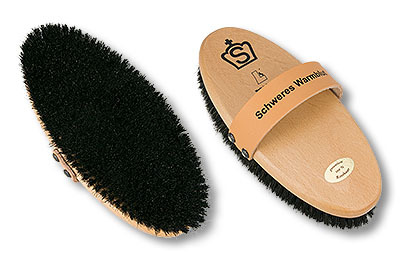 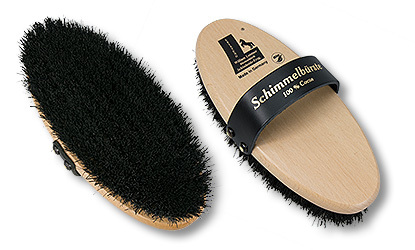 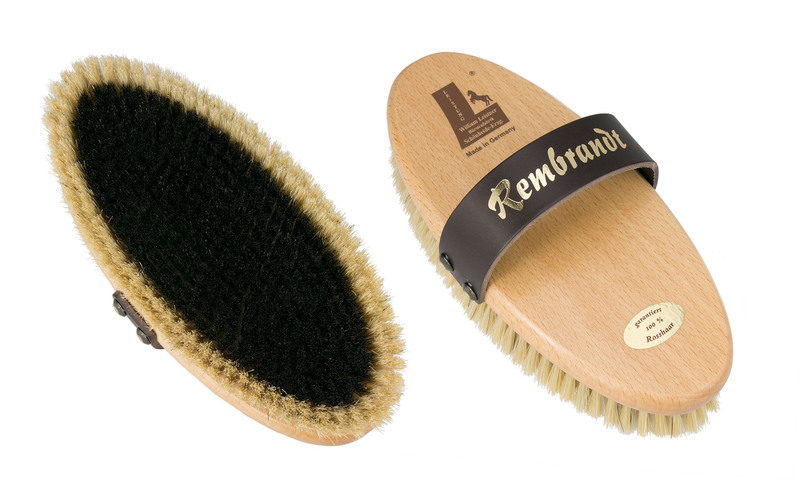 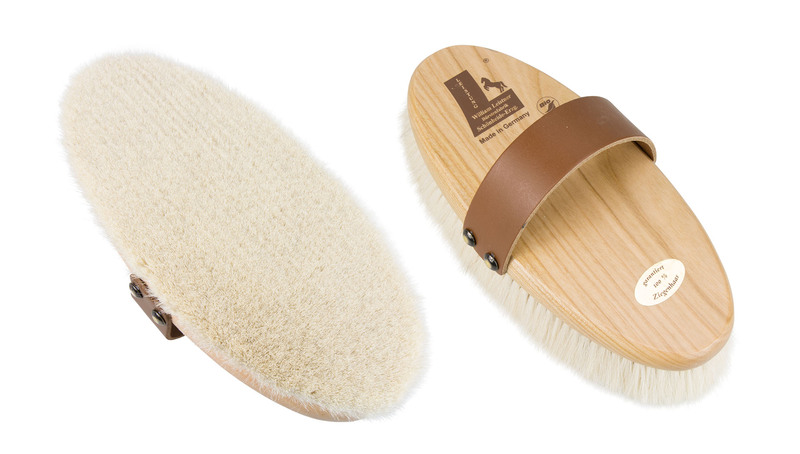 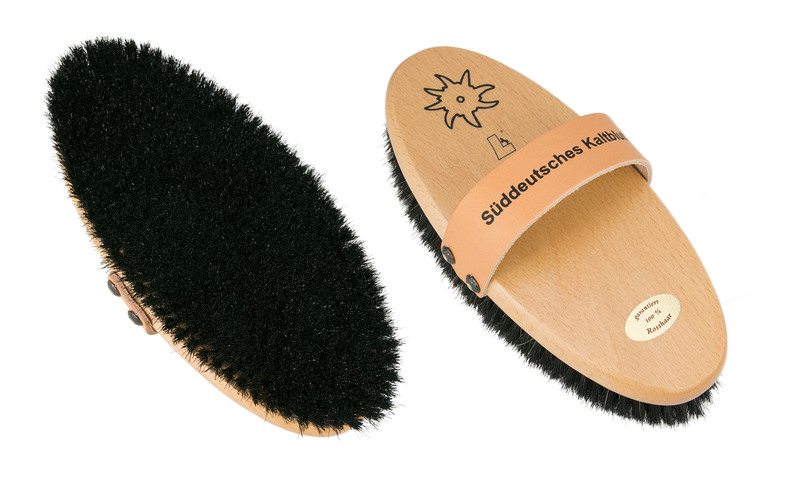 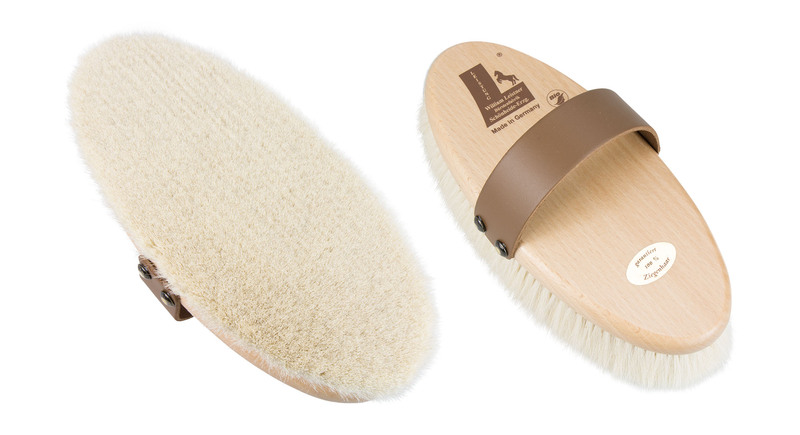 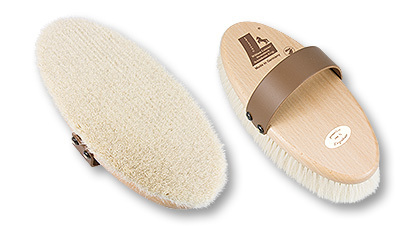 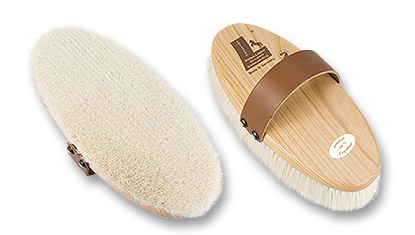 »Schimmel brush« 100 % coco fibres, removes stains from light coloured coats, the “must-have” for white or grey fur and Palomino owners! 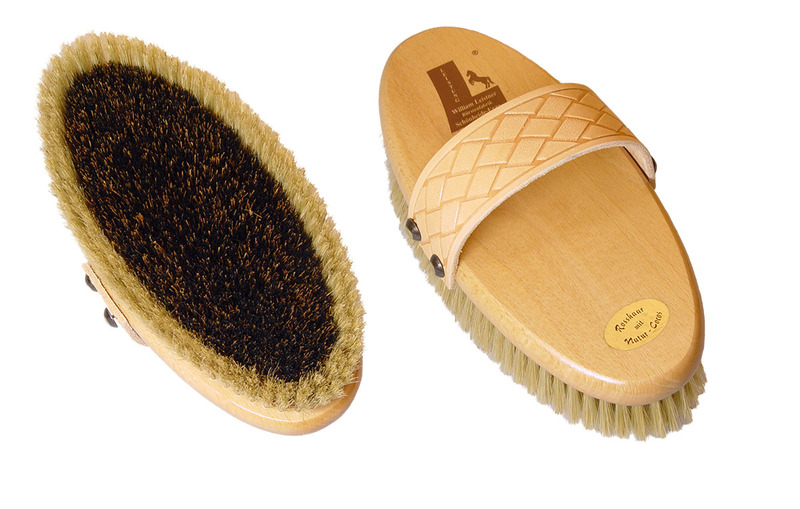 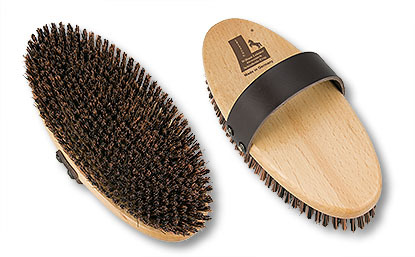 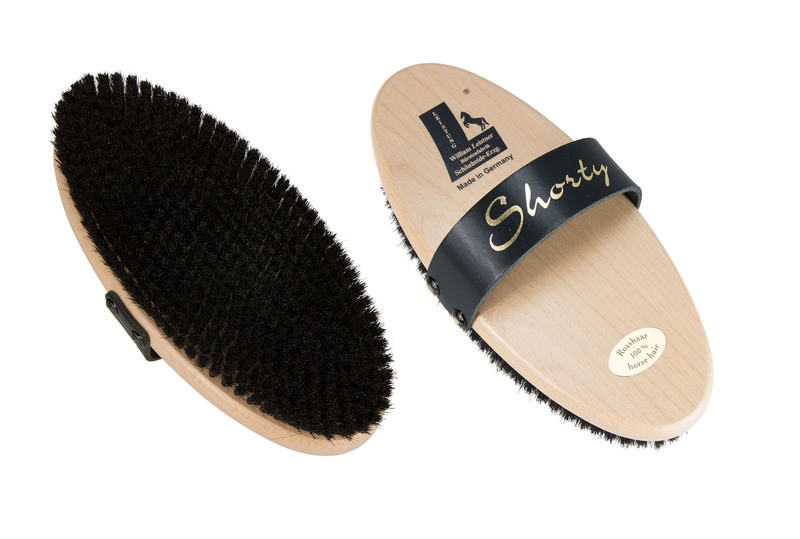 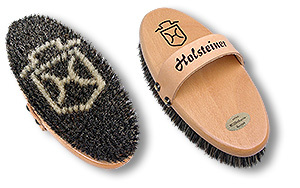 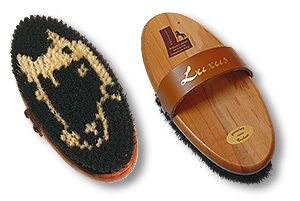 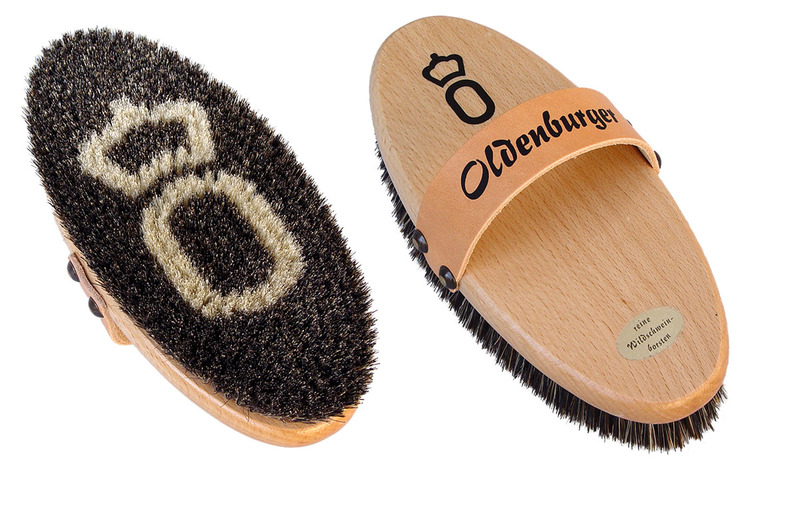 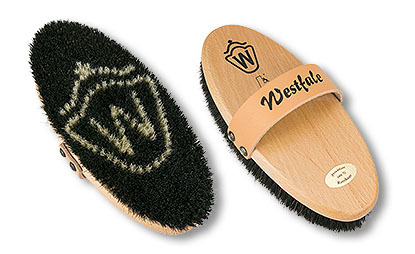 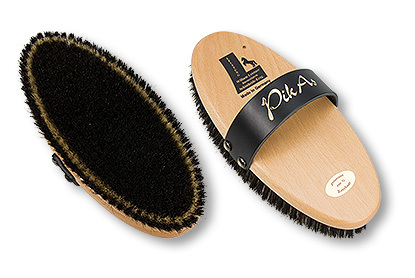 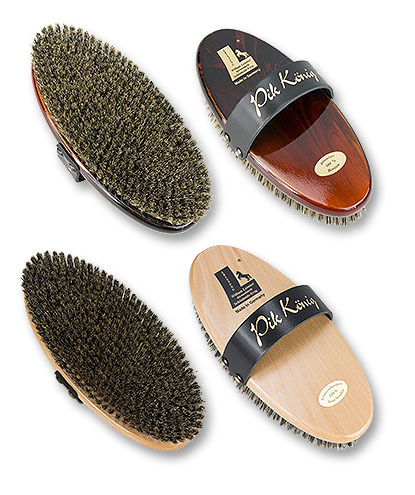 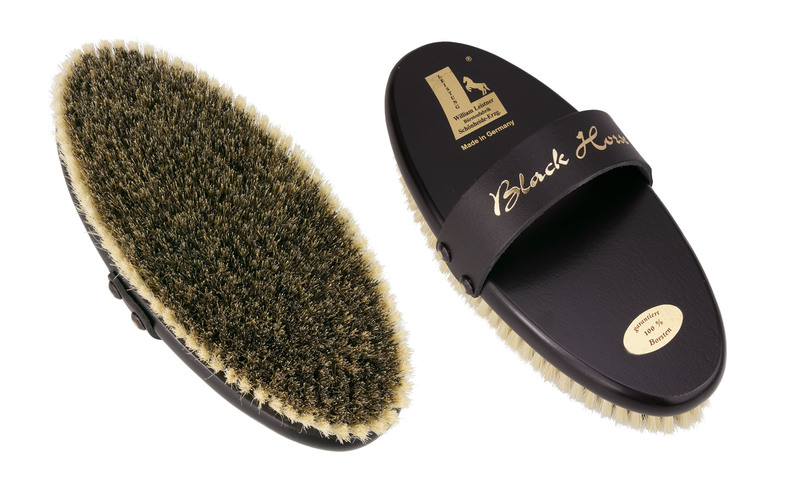 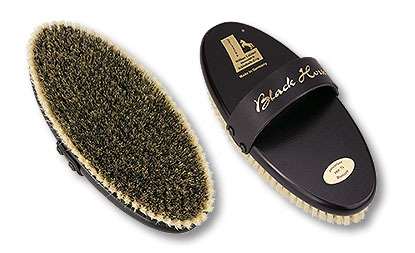 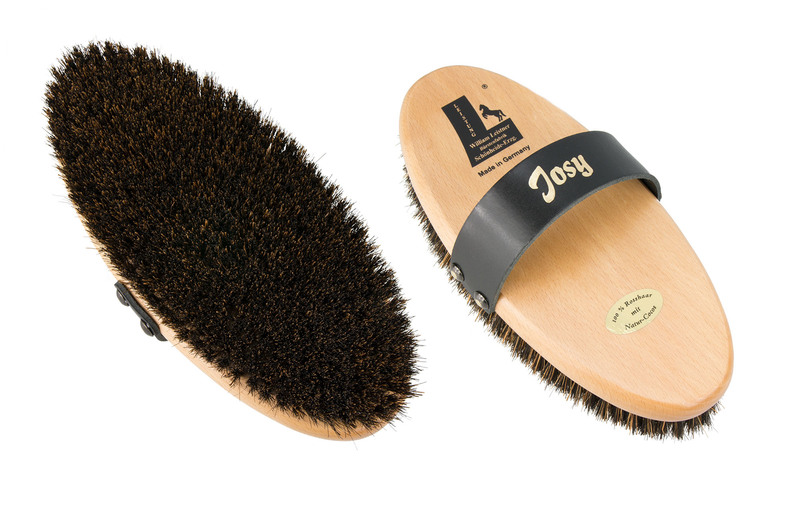 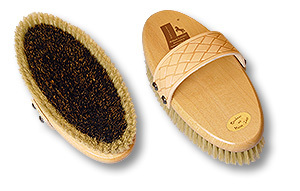 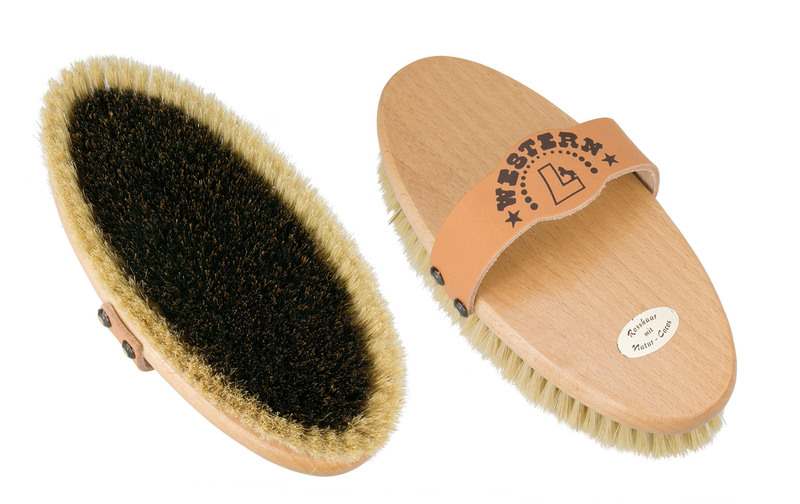 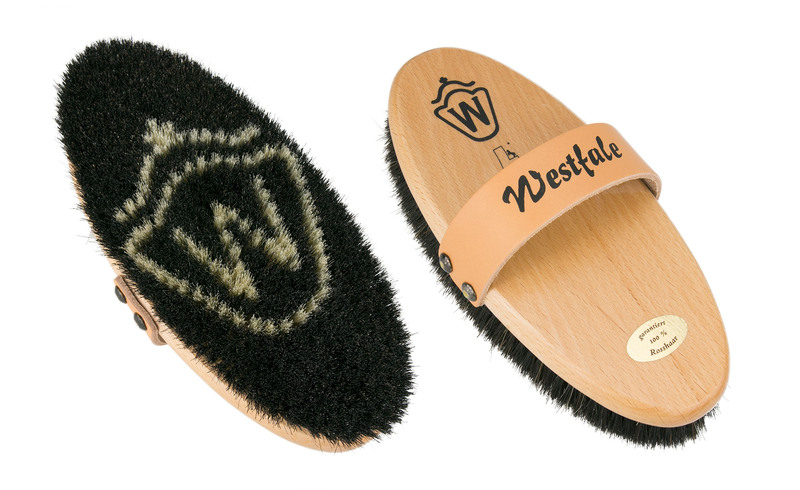 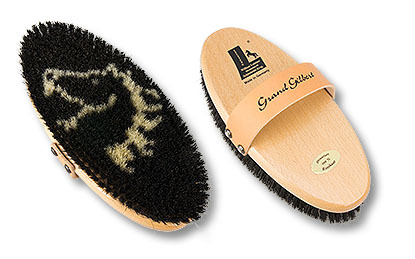 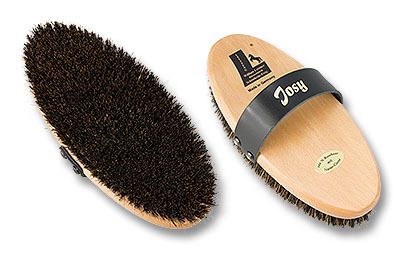 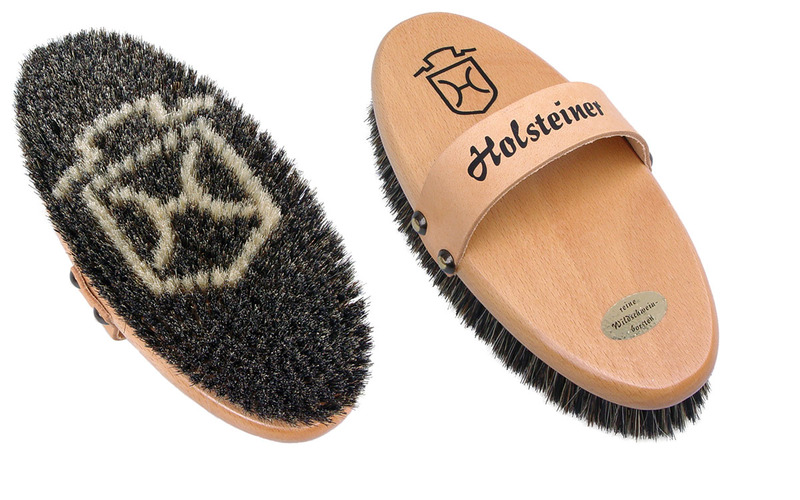 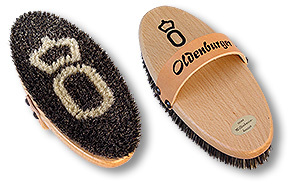 The mixture of 100 % horsehair with 100 % coco fibres is soft and firm at the same time, so this brush will remove reminding dirt while creating a shine. The beechwood back is colourless lacquered, soft leather belt. 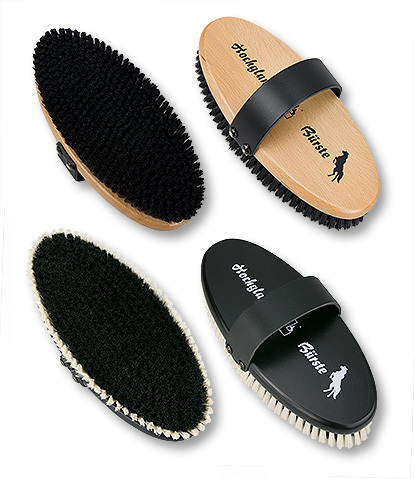 brass wire brush of a high quality bristle mixture of natural and synthetic bristles, with 1 row of fine brass wire, cleans ideal during shedding season or while heavily soiled coat. 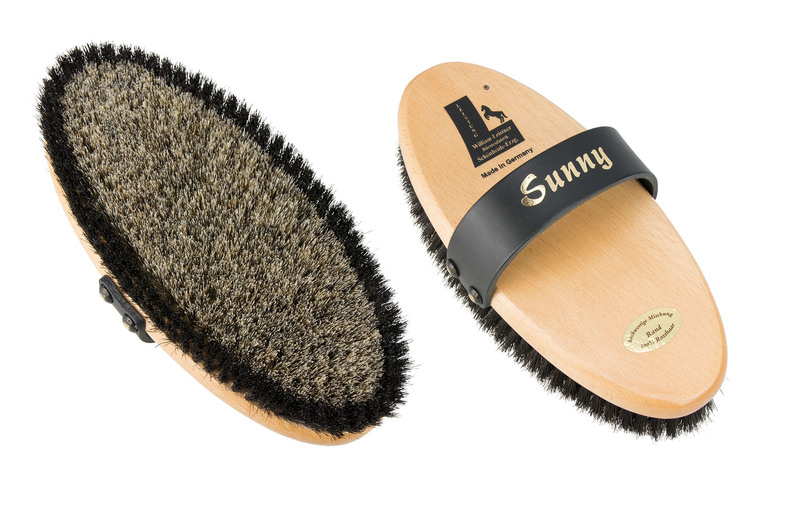 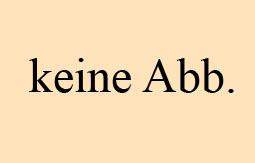 (7 f 67), suitable for longer or wiry fur.